How can an architecturally- designed house save you an hour a day? 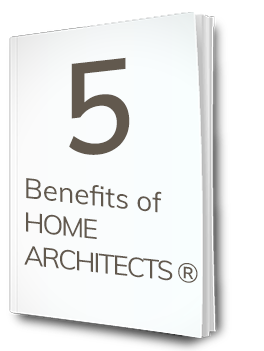 Read this page to discover how an Architect can build in efficiency, durability and other time-saving features into your next residence. time savings: 7 minutes/ day. company, they locate 2 dishwashers in the Kitchen. The Architect of the project informs the Owners that if they so choose, they never have to ever remove all the contents of a clean dishwasher and place those items into cabinets again. Why? Because there are 2 dishwashers, when one is run, cleaning the contents, that clean dishwasher BECOMES the cabinet for the clean items inside it. Whenever you need a clean bowl or plate or whatever, you obtain it from the clean dishwasher. Your storage space just increased by about 8 cubic feet. So what do you do with newly soiled items? You put them into the other dishwasher, which now becomes the soiled dish storage. You have 2 dishwashers. So when that second dishwasher is full, you run it, then THAT dishwasher becomes the newly clean dishwasher, which means its function just became that of a clean dish cabinet. You have just saved yourself the 7 minutes or so it takes to empty your dishwasher. The placement of the dishwashers is Not next to each others, but spread out, so that multiple people can help clean up during large family gatherings (so that just one person isn’t stuck with cleaning duty). Having kitchen equipment organized properly helps you save an hour a day. (C) Copyright 2007-2013 Home Architect, PLLC, All Rights Reserved Worldwide. 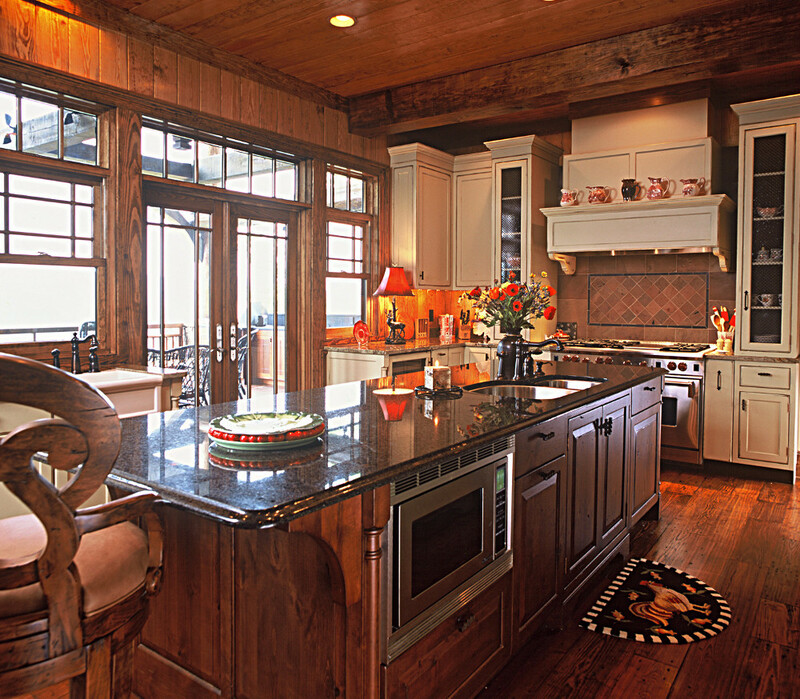 Click image above to see Top 5 Design Trends for 2013.
time savings: 4.2 minutes/ day. This same architectural firm also specifies a special mortar setting bed and grout between bathroom tiles and especially between shower tiles. This is because tile setters normally use Portland cement setting bed and grout. Water is used in the normal mortar mix. There is a volume of space occupied by the water in the mix when the tiles are placed into position. When the water evaporates, there are millions of microscopic spaces left throughout the setting bed and the grout between the joints. When we then take showers, the water from the flowing water pours into these tiny voids throughout the the mortar. Because mold spores are everywhere in our atmosphere, the spores lodge into these little spaces and due to the repeated watering from the shower, the spores grow a crop of mold, right there in our mortar, between the tiles. Not only is this unhealthy (exposing yourself to growing mold and also touching it repeatedly), it is unsightly and damaging to your grout and tile. Essentially, you have a mini-farm crop of mold growing there in your shower. Not wanting to be exposed to this and not liking the dirty appearance of the black mold, good housekeepers will attack the growing mold on the grout joints between the tiles perhaps once a week, maybe using an old toothbrush and Bon-ami. You may spend 30 minutes doing this until you are satisfied that you have cleaned all the mold. Then more will grow the next week and you have to keep repeating this drudgery for as long as you live there, if you want to have sanitary conditions. Well, your Architect has a better solution: your Architect can specify a 100% epoxy setting bed and grout under and between your bathroom tiles and under and between your shower tiles. The reason this company specifies 100% epoxy is that NO WATER is used in the mix. Only epoxy. That means there is no water evaporation, which means there are no microscopic pores to make a little cave for the mold spores. And that means that without spaces in which to grow and be nurtured, MOLD CANNOT GROW on the smooth surface of the epoxy. If the tiles are similarly sealed (this company also specifies a tile sealer), then there’s not much of any place on which or in which mold can grow. What does this mean for the Owner? LITTLE TO NO TILE AND GROUT MAINTENANCE. 30 minutes/week/7 days = 4.28 minutes saved a day on average. time savings: 5 minutes/ day. This same architectural firm prefers to design doorless shower entries for their clients. This means: there is no glass door(s) at the shower entry location. And if there is no glass door, then there is no glass to clean daily of mineral deposits and possibly mold at the junctures of vinyl gaskets and aluminum, tile and glass. So how do you keep the shower water from spraying out onto the bathroom floor? Architects who have long experience designing houses know how to locate shower heads, thresholds, adjacent partitions to result in an arrangement that makes it unlikely that much, if any water will over spray into the open bathroom. These solutions often are achieved by simply not pointing the water towards the entry point, and providing adequate dimensions in the shower area to allow this more functional placement of the shower head and water control(s). By good design thinking, your Architect can also create a Larger shower area, facilitating the ability of significant others to shower simultaneously, which is an added benefit, but more about this time savings later. The mere fact that you won’t have to clean the glass in your shower using Windex or other cleaning product, sponge, paper towels or other items not only saves you that time, but also the expenditure of your funds on these cleaning items. So: you are saving time and money through your architecturally-designed shower entrance. Saving an hour a day: having no glass shower door to have to clean is part of it. (C) Copyright 2005-2013 Home Architect, PLLC, All Rights Reserved Worldwide. 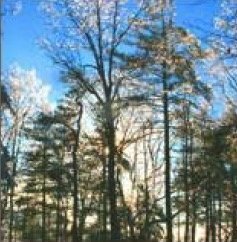 Click image above to see article on Accessible Housing Design. time savings: 8 minutes/ day. Because your Architect knows how to make your shower larger, facilitating the showering of 2 people simultaneously (assuming you have a significant other there in the house with you), one of these people will realize approximately 8 minutes a day, because that second person will not have to wait until the first person is done showering. The 8 minutes used here comes from a 2011 BBC report which cited a Unilever R&D department survey, with Hilde Hendrickx, a behavioral scientist, quoting the length of time most people take to shower. The time savings here depends on the second person waiting for the first person to finish. Your Architect can specify and locate the components for a whole-house vacuum. This means that you will no longer have to waste time dragging a heavy canister around with you; you will have “holes in the wall” to plug in a much lighter and easier to handle vacuum wand and hose. Also have your Architect indicate and specify Automatic Dust Pans. These are found at the floor level, in the baseboards. You gently tap them with your foot and they open up and immediately begin pulling in the dust and debris you sweep toward them. Great for use on wood and tile floors, and all you need to do is have a lightweight broom and sweep toward them. Very simple and quicker than any kind of vacuum, especially for spot cleaning on a daily basis. This architectural firm actually prefers these to the hole in the wall, wherever hard surfaces are in the house. If you vacuum your house once a week, personal experience on the part of this architectural company, having this system in a house in which they lived and worked, resulted in 7.3 minutes of saved time in walking up and down stairs, moving the heavy canister, and only having to use a light broom (at automatic dust pans) per cleaning cycle, than merely unplugging and moving the lighter weight and more maneuverable vacuum hose and wand. 7.3 minutes/week/7 = 1.04 minutes saved/ day on average. This time comparison study was accomplished in a 2-story 2,912 square foot house over a 6 year period. Update: you can also use a Roomba robot vacuum, however, these do need maintenance, are noisy, may develop battery recharging issues, and may get trapped or hung up on dark rugs and on rugs with long fringe. Also: not for use on stairs! If the Roombas can continue to be improved, this could be an excellent solution. The firm’s previous two have died, due to long hair and batteries giving out and not charging any more. If you’ve every been in a house and had the commercial electrical power source blackout, you can sympathize with this point. For all intents and purposes; when your house shuts down, YOU are also shut down. You can’t turn on computers (that aren’t powered by batteries, and even if you can, you probably can’t go online because your router is also likely shut down, at least until your UPS battery dies, if you have one). Your refrigerated food is in jeopardy. You cannot cook (unless you have gas for that, which is the source of another item in this list), you cannot do laundry, you can’t watch TV or even play DVDs, or read (unless you wish to do so by candle light, you can’t even open your automatic garage doors (unless you pull loose the hardware that allows you to manually open them). It’s a major drag: not having commercial power. If this happens to you and your neighborhood perhaps once every 3 years for perhaps an 8 hour commercial power shut down, this means: 8 hours/3 years = 2.67 hours/year/365 days/year = .007306 hours a year x 60= .438 minutes/day that an electrical emergency power generator could save you. The expected frequency of power outages and its duration is taken from this architectural firm’s personal experience in the WNC area. However, there are much more severe and longer outages that occur nationwide and worldwide, as evidenced in this report: CRO 2011 Power Blackout Report. 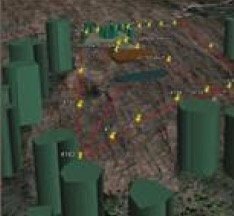 For instance, this referenced report indicates that such blackout events have occurred such as the 2003 U.S/Canada Blackout, which began on August 14, 2003 and lasted for 4 days, affecting large areas of Ohio, Michigan, Pennsylvania, New York, Vermont, Massachusetts, Connecticut, New Jersey and Ontario. 50 million people were affected. 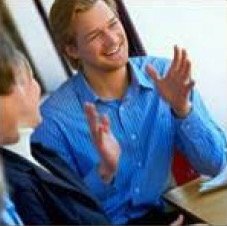 Contributors to this report included the CRO Forum, with the following large insurance companies participating: AIG, Allianz, AXA, Generali, Hannover Re, Munich Re, Swiss Re and Zurich Financial Services Group. The idea is that having your Architect specify and indicate an electrical emergency power generator (with an ATS (Automatic Transfer Switch)) can and will save you considerable time, discomfort and inconvenience WHEN (not if) you experience electrical blackouts. The relatively minimal daily average time cannot begin to indicate the grievous loss of time that will occur when the blackouts happen, focused all during one day or week. 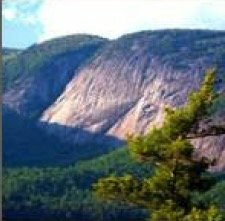 The Home Architects ® often indicates an emergency power generator with ATS, as a option to its Base Bid pricing packages, to allow its clients to decide if they would like to pay for this convenience, particularly in mountainous regions. time savings: 0.526 minutes/ day. 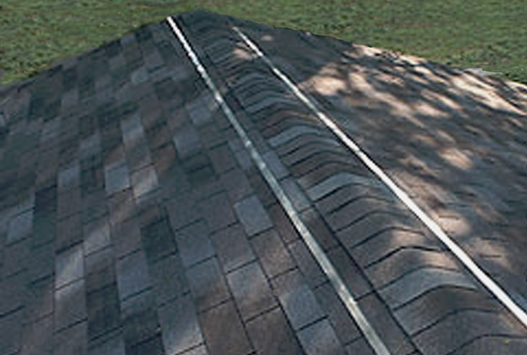 By not having to clean your roof, you not only save yourself time, but also money. Click on image above to see full article about how zinc strips on your roof keep it looking new. How can a roof be self-cleaning? Well, only the most knowledgeable residential Architects seem to know about this one. Here’s a link to this firm’s online article: Self-Cleaning Roofs. As hard as it may be to believe, this technique seems to work well, although individual micro-climate can and will modify its effectiveness. For instance, overhanging trees should be trimmed back, clear of the roof. The technique described in this item is having your Architect specify and detail zinc metal strips along the upper ridge lines of both sides of roof ridges, just under the edges of roof ridge line vents. There are ions in good grade zinc that release with each rainfall, draining down the roof, which is toxic to mold and moss growth. You can see a similar result from the relatively clean areas of roofing downslope from galvanized steel roof penetrations, while the remainder of the roof is dirty. Having a continuous ridge line of zinc can help protect your roof from mold growth, keeping it clean. This could contribute to roof shingle lifespan, especially if you are the sort of person who likes to pressure wash anything that looks dirty on your house. Because: when you pressure wash roof shingles, you are knocking off the tiny granules that protect the asphalt coating on the fiberglass. In essence, by this forceful cleaning method, you are actually contributing to the faster destruction of your roofing. Better to use more passive architectural means like the less expensive and simpler method your Architect can provide regarding zinc strips. The time savings is arrived at in the following manner: figure a 4 day period of your otherwise productive time spent once every 15 years to find a roofer, shingles you like, flashing, sealants, underlayment, negotiate the contract(s), and supervise the demolition of existing roofing and edge flashings, possible repairs to existing roof sheathing, installation of new flashings and roofing and cleanup. That = 4 days/15 years, however only count 12 daylight work hours per day = 48 total hours x 60 minutes/hour = 2,880 minutes lost. Then: 2,880/once every 15 years = 192 minutes/year, then /365 days in a year = 0.526027 minutes lost on average/day. Click on the image above to see the full online article about this amazing discovery. Saving an hour a day: having your Architect specify longer-lasting, more energy efficient lamps (‘lightbulbs”) can cut your time spent changing them by an order of 10. Click on the image above for more information on these newer sources of light and how to obtain many of them for free. If you live in a house with about 60 lightbulbs (technically called “lamps” in industry jargon), you could be wasting up to a minute and a half a day. How? If you allow your Architect to specify and design more energy-efficient lamps (lightbulbs), such as CFLs, those could last for 10,000 hours as opposed to 1,000 hours for normal, in-efficient incandescent lightbulbs. If you turn on your lights for about 6 hours a day, that = 6 x 365 = 2,160 hours a year. However, if you don’t turn on ALL of your lights for that length of time, let’s consider perhaps half of your lights being on during that time period = 2,160/2 = 1,095 hours. In other words, you can expect just about all of your incandescent lightbulbs to burn out each year and to need replacing. As opposed to CFLs (Compact Fluorescent Lights) that may last you 10 years. So how long does it take to change a lightbulb? This firm figured that it may take about a minute to diagnose the problem, then another minute to remove the dead bulb, then another minute and a half to walk to and find your storage area where you hopefully may keep replacement lamps, then another minute to find the exact replacement lamp, then another minute and a half to walk back to the light fixture, then another minute to screw in the new bulb and turn the fixture back on. That’s a total of 7 minutes, which is pretty close to the company’s original guesstimate of 8 minutes. So if you have 60 lightbulbs being replaced each year x 7 minutes each = 420 minutes a year spent on replacing lightbulbs. Now, let’s divide that by 365 days = 1.15 minutes a day that you will Not have to do this if you have an Architect design your next house, one that knows about more efficient lighting technology. And you will be saving cash on each and every monthly power bill. Click on the CFL image above to read the whole article. time savings: 2.3 minutes/ day. Experienced residential Architects are familiar with more durable materials, like cementitious wall cladding, pressure-treated wood, better grade roofing, better insulation (which also can impact plumbing), flashing, drainage planes (to allow cladding to drain harmlessly before attacking the wall interior (click here –> Drainage Plane in the SupR-Wall for more information on that subject)), sealants, windows, doors and other items that can result in much less exterior building maintenance. The benefits of having more durable exterior materials, wisely arranged can improve the appearance of your house, while allowing you to do less maintenance. If you had to perform siding replacement/repairs, re-roofing window and door replacement, resealing and other tasks on an average of one significant repair every 5 years, such a repair could easily last 6 days and take up perhaps 12 hours of your time for each of those days. This = 72 hours. Let’s divide by 5 years = 14.4 hours/year. Let’s divide by 365 = 0.03 hours/year. Now let’s multiply by 60 = 2.3 minutes on average/day. The reason many repairs could take this long (or longer) have to do with not only the actual on-site repairs, but the defining and analysis of the problem, the documentation and possible specifications and drawings involved with describing what is to be done, the identification, vetting and contracting with qualified licensed Contractors, inspecting the work, documenting the repairs and filling out of warranty cards and the like. time savings: 21.14 minutes/ day. This one is a bit harder to quantify. How much time would it save you if you had all of your daily required spaces all on the same floor level, and logically arranged so as to make their access take fewer steps to reach what you needed when you wanted to be there? For instance: locating a Pantry between the Garage and the Kitchen, so that when you bought groceries, all of your dry goods could be dropped off in the Pantry, from the Garage, on your way into the Kitchen. Logical, right? And an experienced residential Architect will know how to accomplish this. How much time did that one room arrangement save of back and forth walking? You could even ask your grocer to locate all dry goods together in the same bags, separate from refrigerated goods (which they typically do, anyway), to save even more time. So perhaps during each significant grocery purchase, would you think that could save you at least 8 minutes? Very possible. And if you shop for food at least once a week, that = 8/7=1.14 minutes a day in time savings. How about locating your Master Suite on the Main Level of the house, instead of upstairs or downstairs? How much time does that save you? What if you went to and from your Master Suite 6 times a day? And if the walk, one-way took 1 minute? x 2 x 6 = 12 minutes a day. That one arrangement adds up, each day, doesn’t it? And how about if your Architect could locate the Powder Room fairly close to the Kitchen so that you could use that bathroom when you are preparing meals, instead of having to walk back to the Master Bathroom? How many times a day would you do that? At least three times? And once again, perhaps a minute in each direction and back again = 1 x 2 x 3 = 6 minutes saved a day. And how about if your Architect organizes your Garage so that it is just outside of your Kitchen and/or Pantry? If you access your Garage at least once a day (going to work and coming home), and if your Architect located it in such a manner so as to save you about a minute in each direction, that could total another 2 minutes saved each day. There could be more savings, but let’s just consider what we have now: 1.14 + 12 + 6 + 2 = 21.14 minutes a day. The big winner here is the location of your Master Suite. HOME ARCHITECTS ® often provide a “Drop Zone” just inside the house from the Garage, where owners can drop off their briefcases, purses, rechargeable devices (cell phones, pagers and others). This is the place where you absolutely, positively have to take these things with you when you leave your house and you don’t want to forget them. Hence the Drop Off Zone. Often times, this takes the form of a counter or desk, sometimes with shelves, with ample number of electrical outlets with chargers already plugged in and ready to feed your gadgets power. This results in not losing these items. This translates into saved time and removal of the frustration of losing something important. Have you ever misplaced your cell phone? How much time did you waste before phoning yourself from another phone? 5 minutes? 10 minutes? And how much is this more efficient style of organization worth to you? Knowing that what you need to take with you is where it needs to be: right next to the door to the Garage. And having all of your electronic devices properly charged. Have you ever Not charged something that should have been? And that problems did that cause you? How much time could you have saved by having this all properly organized by your Architect? Let’s take s conservative approach and call this 7 minutes saved a day due to better organization. 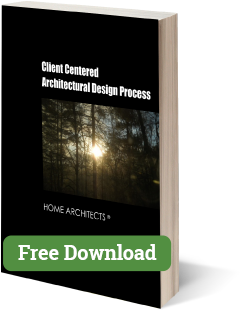 Having your Architect program and design your Kitchen to have everything exactly where you need and want it can shave minutes off your meal preparation and clean-up time. For instance, having cabinetry with spice racks built-in and available right where you need them, beside the cooking range could save you perhaps 3 minutes in searching for your spices/per meal. And having 2 dishwashers is another savings, but that has already been accounted for above. Having your Architect design in base cabinet drawers near to the Dining allows for smoother picking up of utensils for the table, with less conflicting steps with others in the Kitchen, saving perhaps another 60 seconds. Having deeper base cabinet drawers so that they hold hand towels is a real plus as well, but let’s not count that convenience as time saved, just a pleasant ability to close those drawers without bumping them with your hip like your existing shallow drawers that are presently over-filled. And your Architect has located two cold boxes in your Kitchen (allowing for greater refrigerated and frozen food storage), so that you can take advantage of grocery coupons and discounts on higher quantity items and not have to go to a separate freezer in your Garage. Let’s call that a minute there and a minute back = 2 minutes saved. And what about your Architect providing you with two sinks? One on your island, the other at a window? The sink at the island often is arranged directly across from the cooking range, allowing you to use the sink, when involved with meal preparation, and this results in you having to take fewer steps (saving time: [perhaps 1 minute per meal) from going to the other sink at the window. The sink and counter at the window is more likely to be used for clean-up, which allows others to assist you in the kitchen, cleaning as you are completing the meal preparations. Yay! You get to have more fun in an architecturally designed Kitchen! And: you just saved 7 minutes per meal. But let’s not be greedy. Let’s say this time savings occurs only at the evening meal = 7 minutes/day. time savings: 3 minutes/ day. Much of this comes from having adequate space to clearly see categories of items. Grouping like things can happen when you have enough space in which to accomplish this. Your Architect wants you to be organized and be able to conveniently find everything you need and want. hence, you residential Architect will, when space permits, probably include the design of lots of shelving and possible cabinetry in which to place much of your dry foods, canned goods, cleaning items and possible specialty items. How much time is saved by having this architectural feature? And Not having to claw through smaller cabinets above your range, searching for whatever it is you are looking? Let’s call this 3 minutes a day. Often, architectural pantries also become partial book libraries (for cookbooks and other, normal reading books), and a place in which to store paper goods, towels, in-house tools, lightbulbs, and more. time savings: 5 minutes/ day (incredibly important, but difficult to quantify). Many of the residential clients of the HOME ARCHITECTS ® tell them that they want to “Live here and die here.” What they mean by that is: the owners want the Architect of their house to design it with features that will allow the owners to continue to live there, even through advanced years, when most people are forced into a nursing facility, because their house was not designed by an Architect to allow them to access spaces and features that are necessary, right up until the moment they die. After living your golden years in a house that you love, on land that you love, do you really want to be forced, at your most vulnerable stage of life, into an institutional commercial sterile building with vinyl floors, sharing toilets with unknown others, having medical people ordering you around and not having the views, features and comforts to which you have become accustomed? For instance, your Architect- design house can do away with that high threshold into your shower, instead enabling you to roll a wheelchair into that space, if you need to do so. Your Architect can build in wood blocking into the inside of your walls, so that if you ever need to have hand rails installed around toilets and bathtubs and showers, you can do so, easily. There can be Kitchen counter revisions made possible by your Architect to help you be able to use those facilities, if you wish. The threshold between your Garage and house can be taken down to a fraction of an inch, so that a wheelchair can easily and safely travel over that. The doors in the house can be designed to be wider than most houses these days, so that it feels grander, looks nicer and also allows for wheelchairs to pass through them. These can be accomplished by an experienced residential Architect who has the knowledge of these and more things that allow you to Age in Place. How much time do such things save? Hard to say. But would you want to live without them? Let’s call this another 5 minutes saved a day, although: how much time could be saved by being able to roll your wheelchair through a doorway, instead of not being able to do so? How much time is saved not injuring yourself because you tipped back your wheelchair to get over a high threshold? How much time is saved by being able to access your shower in an Architecturally designed house? And on and on. Saving an hour a day graphic analysis. (C) Copyright 2013, Home Architect, PLLC, All Rights Reserved Worldwide. Home Architects have illustrated what the time savings looks like when charted. It is interesting that the most architectural feature (convenient room arrangement) is most significant in time savings. 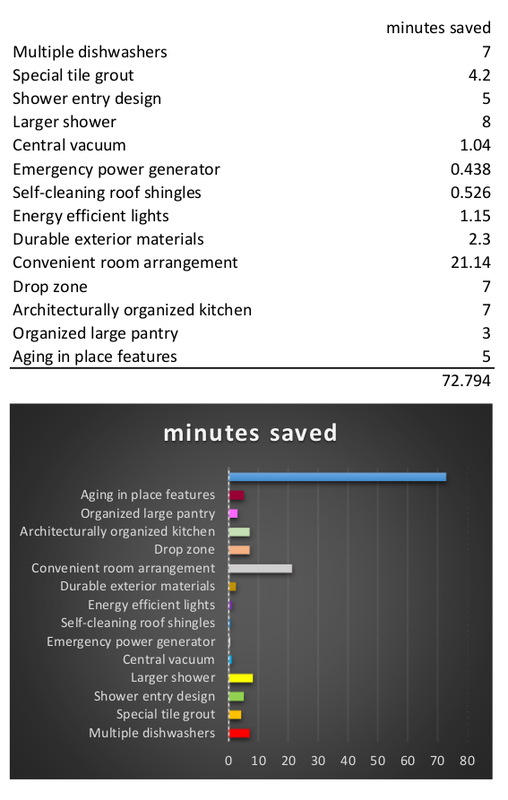 We have actually listed 72.794 minutes of time saved per day, on average, which exceeds the 60 minutes or “hour” title of this article, so it appears that an experienced residential Architect can save MORE than an hour per day, on average, if the owner wanted one to design their house. 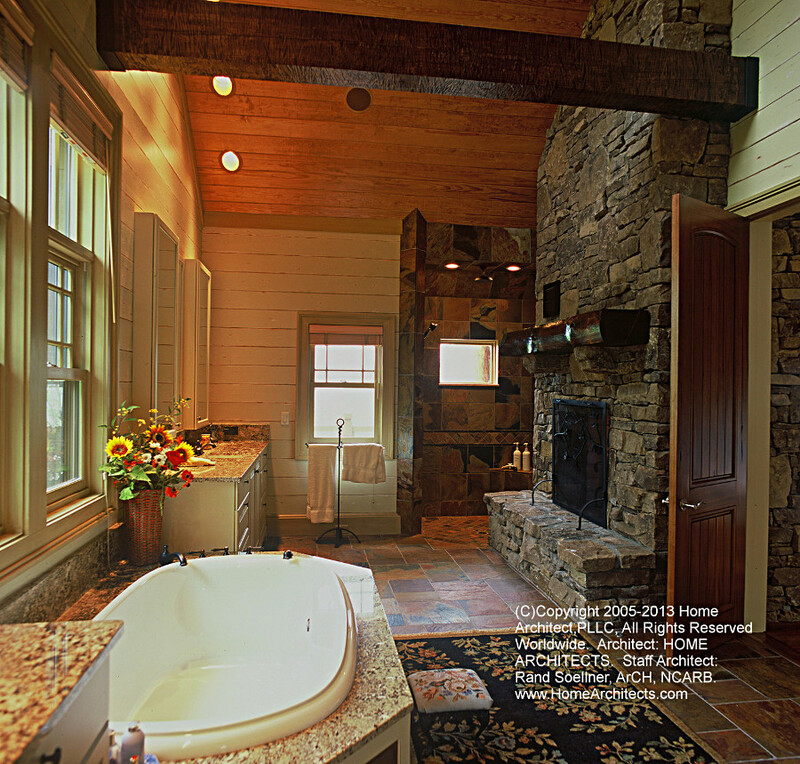 To have your house designed by an expert residential Architect, contact: Rand@HomeArchitects.com 828-269-9046.